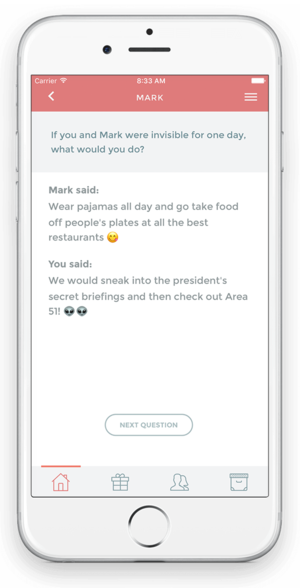 Wonderling is a fun mobile app that sends the same question to you and your friend. Once you've both responded, the answers are revealed! Choose from a variety of question packs to tailor your experience: get to know a friend better, spark new interesting conversations with your partner, or flirt with a new date. "I get really excited when I see a response is ready!" "Wow, I love the conversations this has sparked between my wife and me"
"This is way more fun than I thought it would be!"